Being from outside Atlanta, I am a die-hard Georgia sports fan. Yes, the Super Bowl last year, playoffs this year, and the National Championship against Alabama were horrible. No, I do not need or want your condolences. While I am still not fully recovered from the National Championship loss, as I was reflecting back on Atlanta’s past year of sports, I recognized that two of my bright spots were related to social media. First, the Atlanta Braves unveiled a new in-game promotion for RaceTrac during the season called “Beat the Freeze.” This promotion was a race between a fan selected before the game and “The Freeze.” The fan is given a significant head start, and then “The Freeze” takes off to attempt to still beat the fan. Even when “The Freeze” stumbles at the beginning of his race, he still is usually able to come back and beat the fan. The video that first became viral and made “The Freeze” a national sensation happened in June when a fan, thinking he had the win, began to celebrate a little too early. Little did he know, “The Freeze” was right behind him, and when he passed the fan, the fan face-planted into the dirt. This video got national attention and cemented “The Freeze” as a staple of Braves games. The Braves and all other Georgia sports social media accounts capitalized immediately on this video, sharing, spoofing, and resharing it. This social media trend lasted throughout the season. Later in the year, the Atlanta Falcons old stadium, the Georgia Dome, was set to be demolished in November. News outlets were present to capture the implosion live. The Weather Channel, however, ran into a minor roadblock with their filming plans. After finding what seemed like the perfect spot across the street from the stadium, the Weather Channel videographer live-streamed the crowd gathering for the big moment for 40 minutes. The time came for the dome’s destruction. This implosion proved to be a powerful sight with the entire 71,250 seat stadium imploding in seconds. A man counted down to the implosion on the loud speaker to prepare the crowd. The moment was finally here. A small explosion ripped through the roof and the stadium began to fall. Smoke started to billow, but that was where things went wrong for the Weather Channel. A public MARTA bus then glided in front of the camera. “No bus, get out of the way. Bus!” Instead of getting out of the way, the bus stopped right in front of the camera, blocking the entire view. Naturally, quicker than the bus gliding in front of the camera, the event became a meme. 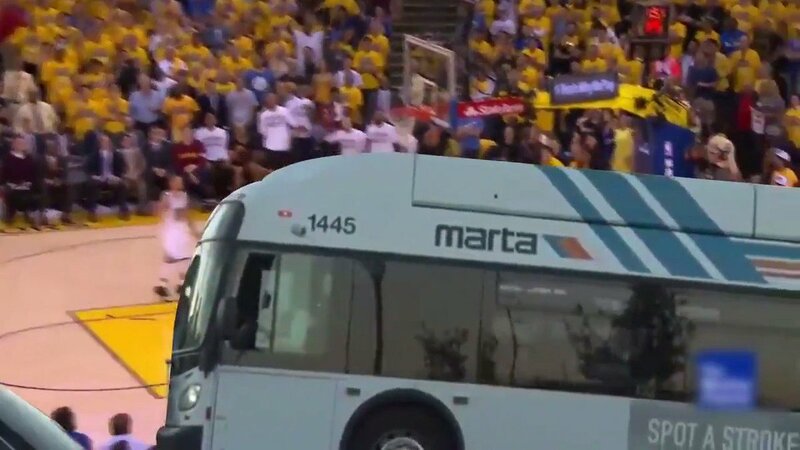 I learned about the event when I scrolled through my Instagram and the University of Georgia had posted a throwback video that, when the big play came to be shown, was blocked entirely by a MARTA bus. I was thoroughly confused and led to Google MARTA bus to try to understand why they would post something like this. This video also received national attention and was immediately picked up by social media accounts across Georgia and the nation. With the magnitude and dynamics of social media channels, it has become especially difficult for marketers to try to capture consumers’ attention. Real-time marketing takes the relationships formed through social media a step further by aiming to proactively and reactively engage users who are discussing trending topics. This real-time engagement attempts to create viral content from these interactions while showing that the brand is a part of the audience’s social community. Real-time marketing is not new, but with the help of social media, the strategy has exploded. Marketers today can quickly know about any situation from social media or current events, and they can use social media platforms to market in real-time. For many companies, Twitter has become the medium for delivering this quality, real-time content. This can come in the form of live-tweeting during highly publicized live events, using official event hashtags, or capitalizing quickly on current events. By doing these things real-time, the brand’s voice is more humanized and relatable. A classic example of real-time marketing was the tweet sent out by Oreo during the 2013 Super Bowl. 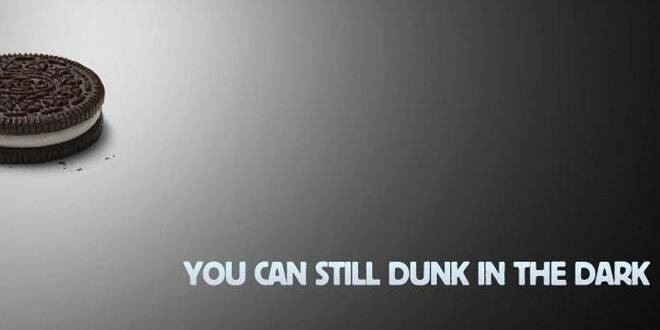 When the game lost power for half an hour, Oreo tweeted, “You can still dunk in the dark.” The tweet was retweeted more than 15,000 times, and their likes on all platforms skyrocketed. More recently, during the last presidential election, Excedrin poked fun at how agonized and obsessed the American public was over the race. Before the third and final debate, Excedrin tweeted “64% of Americans say avoiding headaches is impossible during a presidential election” with the hashtag #DebateHeadache. This led to 46,000 Twitter mentions, a 360% jump. They continued to tweet throughout the day using that hashtag. It is also important to note that while real-time marketing can be incredibly valuable and effective, companies must be careful at recognizing and mitigating the risks from viral mistakes. Brands should carefully consider the teams they have in place, their audience’s habits and wants, and the guidelines they have outlined to make sure the real-time marketing conforms to their brand. If companies take this caution and accept the risk, the reward can define consumer engagement in ways previously unachievable. Go Dawgs!!! My family was also devastated by the National Championship loss as 3 out of the 6 of us went to UGA. I found your post especially interesting because it talks broadly about real-time marketing. I have also written up a blog post (my positing day is Tuesday) that talks about this, specifically on Twitter. It’s amazing how fast these brands can jump on any small opportunity to market their products – it’s almost like they are constantly monitoring social media to find events that they can capitalize on for some free advertisement or promotion. Sounds like a pretty awesome job to me. My post will be discussing how they use celebrities to do so, but I love how you used the concept of national events. Great post! I agree with Katherine. It’s great to see how a personal experience sparked you to write about this. Social media has surely allowed the real-time marketing strategy to grow, as marketers are more aware of current events and better able to respond immediately. It’s amazing to see that some companies have built entire social media teams, understanding that responsiveness and customer engagement in real time greatly increases firm value. Your reference to the risks of this strategy sparked my interest as well, leading me to do a bit of research regarding real-time marketing “gone bad.” We all know that quick responses can be dangerous if they do not allow for proofreading and content consideration. Some controversial examples from an Entrepreneur article (https://www.entrepreneur.com/article/294925) include Pepsi’s ad related to the Black Lives Matter Movement, Uber intentionally promoting its service during a NYC taxi strike, and Adidas’ “Congrats, you survived the Boston Marathon!” tweet in 2017. While each of these companies was trying to market in a relevant and current manner, their rush to post resulted in negative backlash. Sports, and even more so sports fans, are a gold mine for viral videos. What I found interesting about this post is when you touched on the idea that marketers are trying to get involved with these happenings in real time. As @mollypighini1 mentioned, there are real risks in attempting this type of marketing. As a marketer, the risk I would be most worried about is the risk of being disingenuous and betraying the trust of your fans. I am a member of a community called Imgur, the sister site of Reddit, and companies try often to create posts that feel organic by using “fresh” memes woven in with their marketing message. More often than not the consumer is smarter than the marketer gives them credit for and the audience feels “sold to” in a space that they see as their own. This results in negative feelings towards the brand, almost like when one of your parents embarrassingly tries to use “hip lingo” and utterly fails. Marketers using this real-time marketing tactic need to be subtle in how they interact with their social media audiences so they are not intruding on the viral phenomenon but rather contributing to it. Awesome! Automatic A in the class! 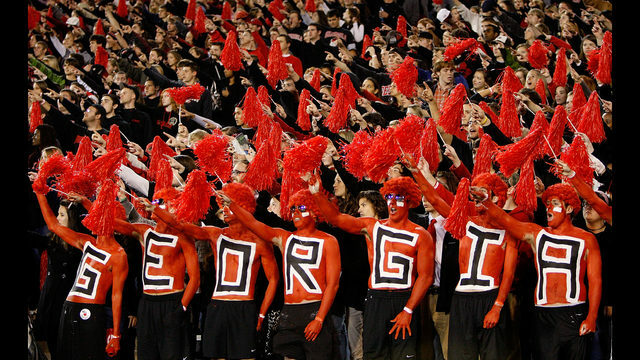 I grew up in Roswell, and my brother (and half my high school) went to UGA. We’ll definitely need to talk about this connection in class soon, sounds like with @katherinekorol, too. No way, that’s awesome! I grew up in Carrollton. We will definitely have to discuss!! ← “Don’t buy our brand new clothes; buy your neighbors’ old ones…” What?